SACRAMENTO, Calif. /California Newswire/ — Calif. 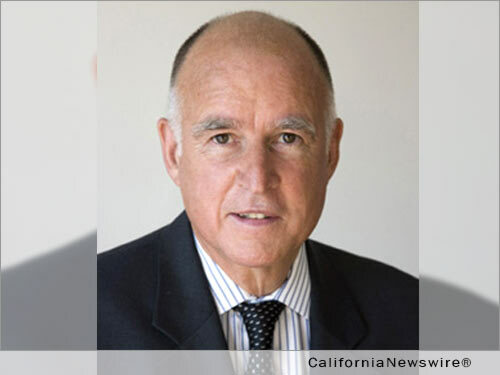 Governor Edmund G. Brown Jr. announced the following appointments on Thursday: First, Karin Caves, 62, of Carmichael, has been appointed deputy director of communications at the California Department of Tax and Fee Administration. Caves has served as deputy secretary of communications at the California Health and Human Services Agency since 2014. She was communications director in the Office of California State Senator Kevin de León in 2013 and owner at Caves Communications from 1998 to 2013. She was communications director and special assistant at the Office of California State Senate President pro Tempore Bill Lockyer from 1994 to 1998 and communications director and press secretary in the Office of California State Senator Gary K. Hart in 1993. Caves was campaign press secretary for Berman and D’Agostino Campaigns from 1988 to 1990 and communications director in the California State Controller’s Office from 1987 to 1988. This position does not require Senate confirmation and the compensation is $147,000. Caves is a Democrat. Scott M. Murray, 34, of Elk Grove, has been appointed deputy secretary of communications at the California Health and Human Services Agency, where he has been associate secretary of media relations in the Office of External Affairs since 2013 and has served in several positions since 2007, including information officer and assistant information officer. He was a student assistant at the California Department of Health Services from 2003 to 2007. This position does not require Senate confirmation and the compensation is $120,000. Murray is registered without party preference. Romey Sabalius, 54, of San Jose, has been appointed to the California State University Board of Trustees. Sabalius has been a professor and coordinator of the German Program at the San Jose State University Department of Foreign Languages since 2003, where he was an associate professor from 1998 to 2003 and an assistant professor from 1995 to 1998. Sabalius was a visiting professor at Monash University from 1999 to 2000, an assistant professor at Utah State University from 1992 to 1995, a visiting assistant professor at Vassar College in 1992 and an instructor at the University of California, Los Angeles Extension in 1991. He is a member of the San Jose State University Academic Senate, California State University Academic Senate and the California Faculty Association San Jose State University Chapter Executive Board. Sabalius earned Doctor of Philosophy and Master of Arts degrees in German literature from the University of Southern California and a Master of Arts degree in German literature from the Ludwig-Maximilian University of Munich. This position does not require Senate confirmation and the compensation is $100 per diem. Sabalius is a Democrat. Nicholas Oliver, 38, of Carmichael, has been appointed chief of the Bureau of Electronic and Appliance Repair, Home Furnishings and Thermal Insulation. Oliver has been an environmental scientist at the California Department of Resources Recycling and Recovery since 2013. He was an air resource technician at the California Air Resources Board from 2012 to 2013, where he served as an air resources laboratory technician from 2008 to 2012. Oliver is a member of the National Eagle Scout Association. This position requires Senate confirmation and the compensation is $108,000. Oliver is a Democrat. Katrina Hagen, 45, of Sacramento, has been appointed chief deputy director at the California Department of Tax and Fee Administration. Hagen has served as deputy director of operations at the California Department of Human Resources since 2015. She was chief of human resources at the California Public Employees’ Retirement System from 2011 to 2015, adjunct faculty at the University of San Francisco from 2000 to 2011 and deputy director at California Correctional Health Care Services from 2006 to 2011. Hagen served as assistant deputy director at the California Department of Corrections and Rehabilitation from 2002 to 2006. She earned a Master of Public Administration degree from the University of San Francisco. This position does not require Senate confirmation and the compensation is $179,076. Hagen is a Democrat. Michael Marion, 38, of Sacramento, has been appointed chief of the California Bureau for Private Postsecondary Education. Marion was associate vice provost at Drexel University from 2014 to 2017 and dean of student services and counseling at Cosumnes River College from 2010 to 2014, where he served as acting vice president of student services and enrollment management from 2012 to 2013. He was associate dean of students at Radford University from 2008 to 2010, where he served as interim director for the Office of Multicultural and International Student Services and the Center for Diversity and Inclusion from 2008 to 2009. He was adjunct academic advisor at the El Camino Community College District and the El Camino College Compton Center in 2008, a residential coordinator at the University of Southern California from 2006 to 2008 and a student services specialist at Los Angeles City College from 2006 to 2007. Marion was special activities coordinator for student affairs at San Diego State University from 2004 to 2006, where he was a career counselor from 2003 to 2006. He was an academic advisor at MiraCosta College from 2004 to 2005 and a graduate counselor and therapist at the Center for Community Counseling and Engagement from 2003 to 2004. Marion is a member of the National Association of Student Personnel Administrators. He earned a Doctor of Education degree in educational leadership from the University of Southern California and a Master of Arts degree in multicultural counseling from San Diego State University and completed the Harvard Institute for Educational Management program in 2016. This position requires Senate confirmation and the compensation is $131,544. Marion is a Democrat.